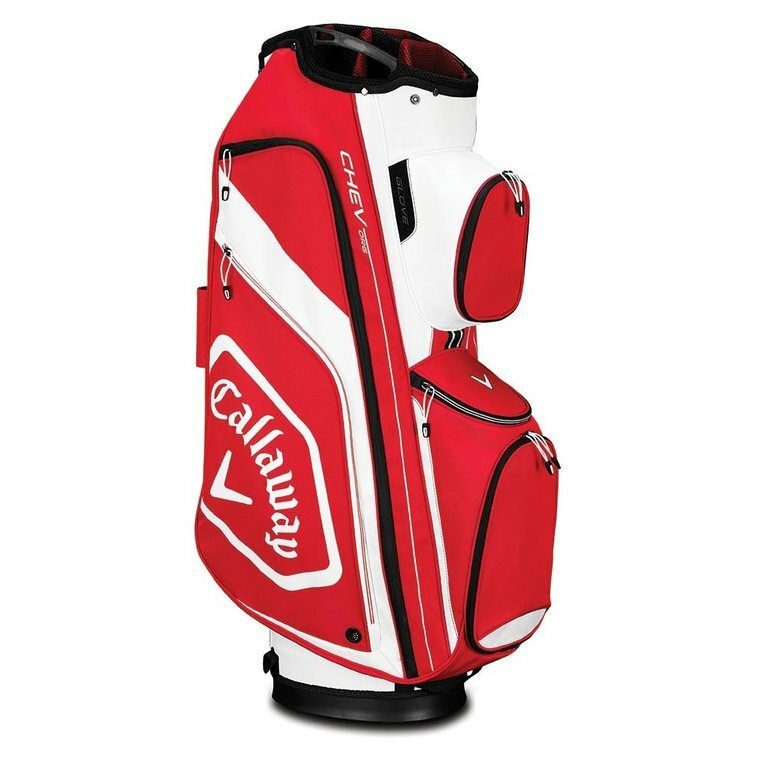 The Callaway Chev Organiser Cart Bag has been designed with bold colours and a multi-pocket design that offers maximum storage when on a trolley. Each pocket has been designed to filet open to maximise storage and features easy opening and closing. 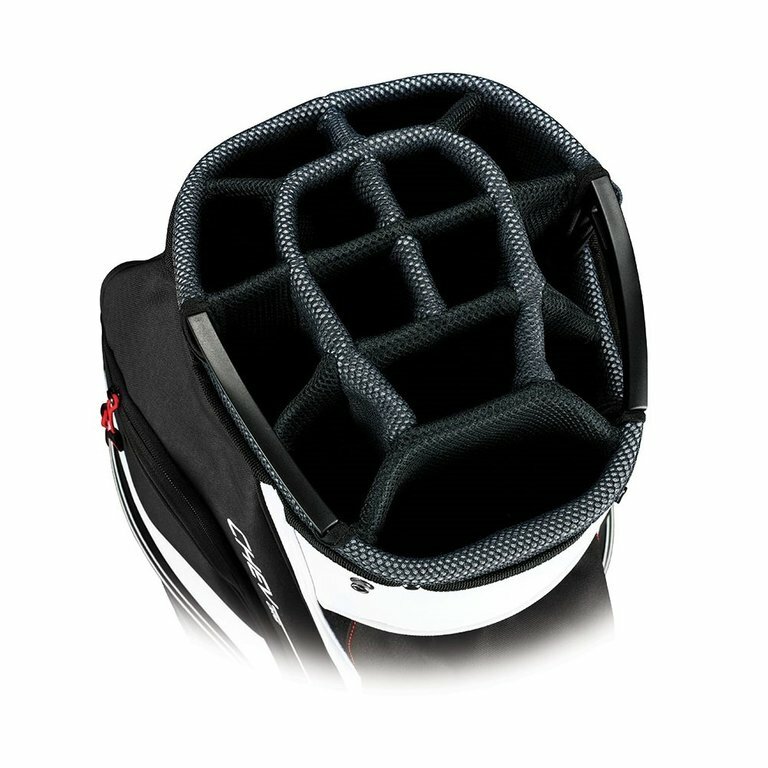 Included in the pocket layout are dual, full length apparel pockets, a dedicated ball pocket, a GPS / RangeFinder pocket, a cooler pocket and multiple accessory pockets. 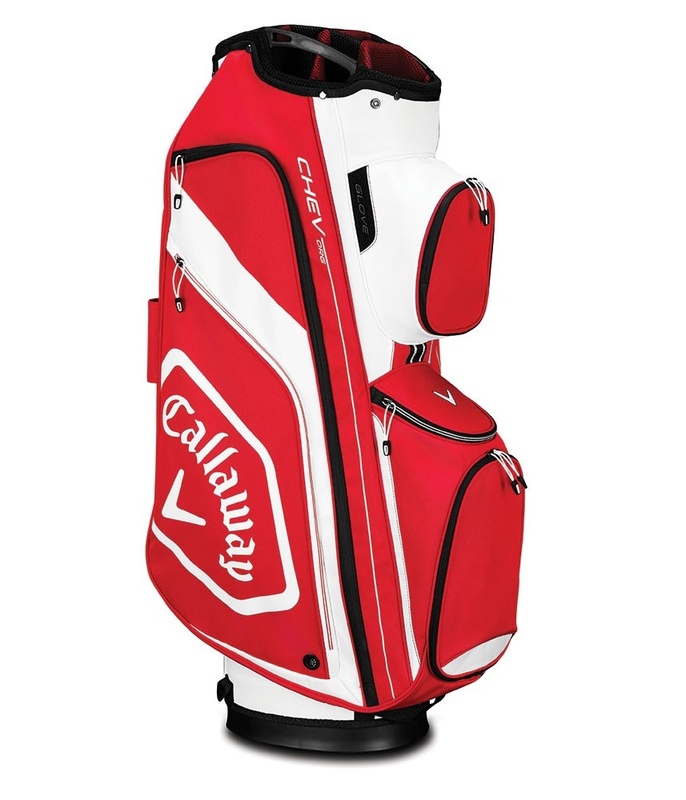 A spacious 14-way top design provides excellent club management and shaft protection. 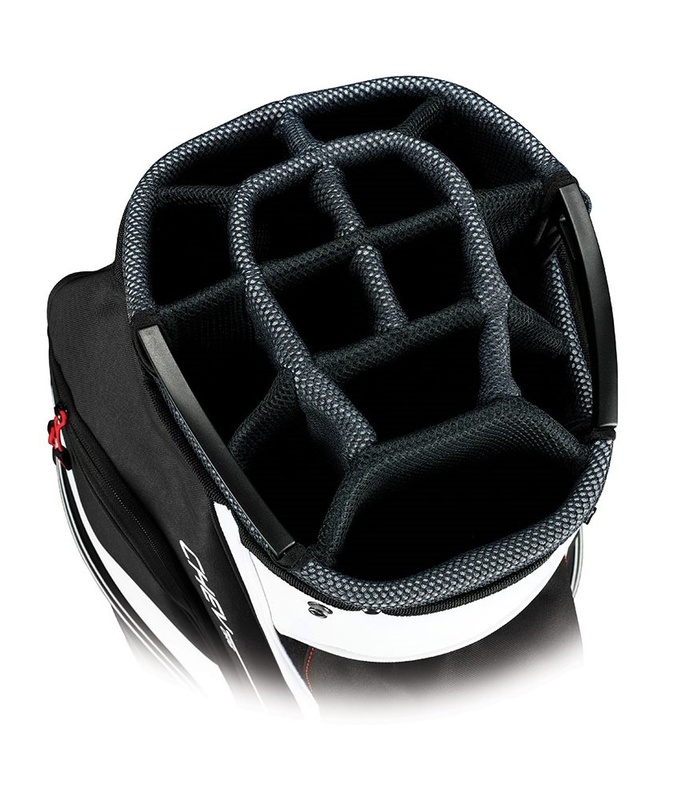 Also integrated into the top design are two grab handles that make lifting and loading more comfortable.